Many of us deal with dark circles under the eyes. Aside from covering them up with makeup, there are simple things you can do to lighten the circles. With a few ingredients from your kitchen, you can get rid of those annoying circles. For many, dark circles are often the result of lack of sleep. 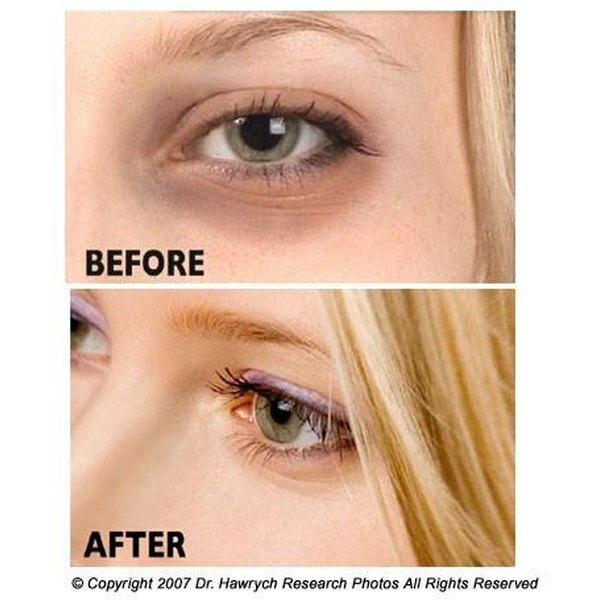 Getting enough sleep will help reduce the look of dark circles under your eyes. It is important to get eight hours of sleep each night. Try to relax before you go to bed. Listen to soft music or read a book. This will not work for everyone, but give it a try. If you don't notice your circles fading, then try a home remedy. Mix 2 tbsp. of almond oil and 2 tbsp. of honey together in a small bowl. Gently rub this under your eyes every night before bed. Wash your face in the morning. This mixture will help remove dark circles as well as wrinkles. Along with the eye mixture, eat 10 almonds daily. You will notice results after about 20 days. Mix 1 tsp. of fresh tomato juice, 1/2 tsp. of lemon juice and 1 tsp. of gram flour into a paste. Gently rub this paste under your eyes and leave on for about 10 minutes. After the 10 minutes, rub the mixture off with your fingers. Wash your face with a mild cleanser and pat dry. Do this at least once a day. You will notice a change in a few days. The tomato juice is rich in Vitamin A, C and iron which is very good for your skin. Can I Substitute Safflower Oil for Vegetable Oil?